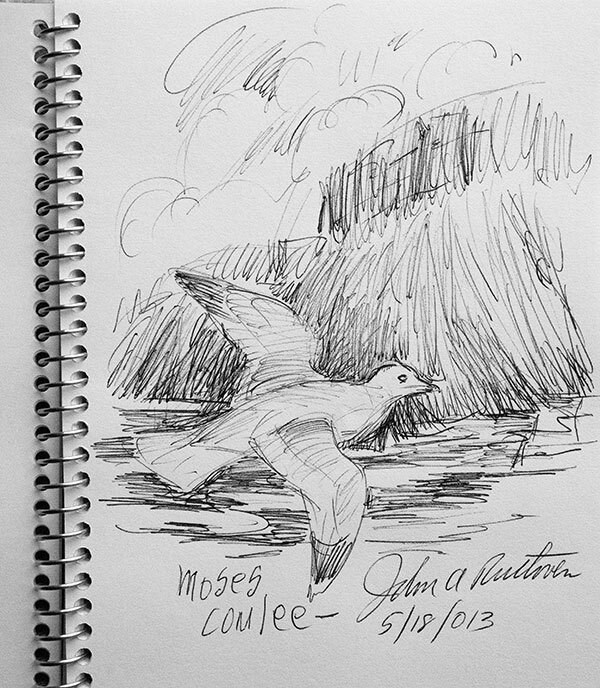 On Saturday I had the pleasure of taking a road trip with acclaimed wildlife artist, John Ruthven, following the path of the great Missoula Floods in Washington state. 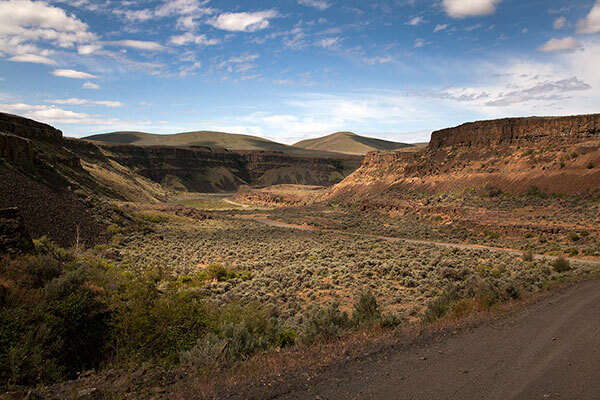 We drove along the Columbia river south of Wenatchee, up the Moses Coulee, over to the Lower Grand Coulee/Sun Lakes area, and then up to Dry Falls. 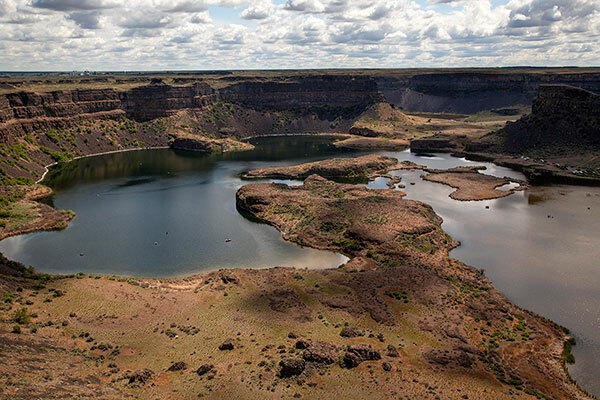 The Dry Falls was once the largest waterfalls in the world. We took in the sights, the geology, imagined the history of the area, and did a little bird watching. It was a great day! 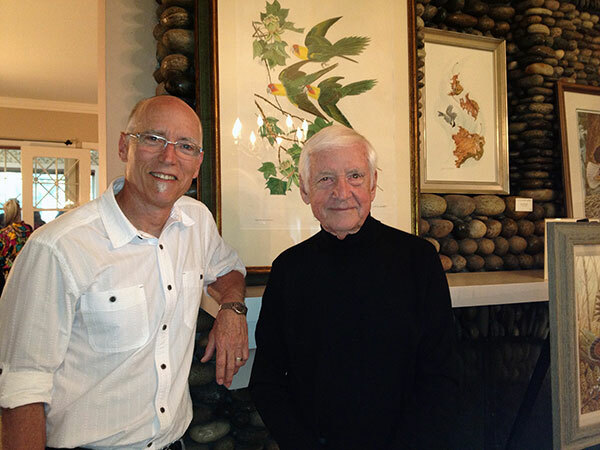 John Ruthven & I at Barn Beach Reserve for the 2013 Bird Fest Artist Reception.